Misadventures in Baby Raising- Voice Lessons To Go: Vocal Training at Home! 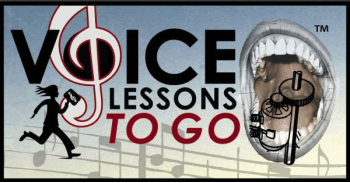 Voice Lessons To Go: Vocal Training at Home! My oldest daughter Taylor loves to sing; I always joke that she was born singing, but it’s pretty close to the truth as she’s been singing since I can remember. Taylor’s dream is to be a singer and I have to admit she’s actually very good (and no I’m not just saying that because I’m her mom) and if she had some professional training I have no doubt she could easily fulfill that dream. Unfortunately Small Town, Ohio is not crawling with voice coaches and let’s be honest professional voice lessons can be mega expensive. I recently had the opportunity to review a product that I think could definitely give children who dream of becoming singers more of a fighting chance. Voice Lessons To G0 is a vocal training series that helps children learn how to sing correctly released by She Sings Out, Inc. Ariella Vaccarino, the voice behind Voice Lessons to Go, has been teaching voice for 18 years and is an accomplished opera singer who has also sung on several films. “Voice Lessons To Go for Kids! v.1-Sing Out Proud!” is the first CD from the Voice Lessons to Go series and is designed for children pre-k through 6th grade to learn how to correctly warm up their voices while having fun. The CD advises children on healthy singing including guidance on posture, breathing, and dictation. Music terms are explained to music which makes learning the correct way to use their voices fun and entertaining. Vaccarino created “Sing Out Proud” with the intention of providing quality vocal instruction to children regardless of their location or experience level, and at a price that most parents can afford. We received the CD “Sing Out Proud” from the Voice Lessons To Go series to review. When I told Taylor that I had received the CD she was eager to pop it into the CD player and get started, but was very quick to come back to me and say, “Um mom, it’s opera.” Once I explained to Taylor that the lady who was doing the teaching was indeed an opera singer and that she needed to give the CD a chance she took my advice and gave it another listen…and she was glad that she did. After a while in her room, and a lots of what appeared to be warm up exercises and singing Taylor came out of her room and informed me that she really liked the CD and that she thought that it definitely helped her learn what to do and not to do when she was singing. I must admit I was skeptical, when am I not, but after listening to Taylor sing after listening to the CD for several days in a row she does seem to have a little bit better control of her voice and she sounds amazing, though to be fair I did absolutely think that before! If you have a little one who dreams of becoming a singer and voice lessons are not really in your budget right now, Voice Lessons To Go is a great alternative. You can find out more about Voice Lessons to Go on their website including information about all of the Voice Lessons To Go products! You can purchase Voice Lessons To Go v.1 Sing Out Proud online at http://voicelessonstogo.com/ for $14.99 and get FREE shipping on your order if you’re in the US!